After dipping my toe in the analog pool with my boss's camera, I thought I would like to have an old camera of my own to play around with. A few years earlier my dad had asked me if I was interested in any of “this old camera stuff” and I now regret saying no, but oh well. In my memory the Yachica D that I had as a kid was actuality a Rolleiflex, (it was only later when I was making this website, and looked closely at the picture of me with the old camera that I realized my mistake). So I started looking for old Rolleiflex cameras on ebay. 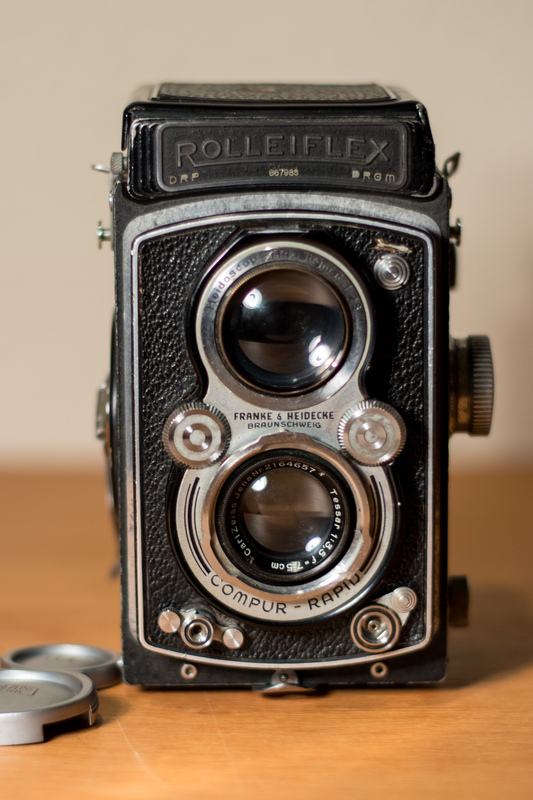 Why not try and pick up where I left off and get a TLR (Twin lens reflex is the general term for this sort of camera) as my first venture back into analog. Many cost much more than I was willing to spend, but there were a few that were in my price range. 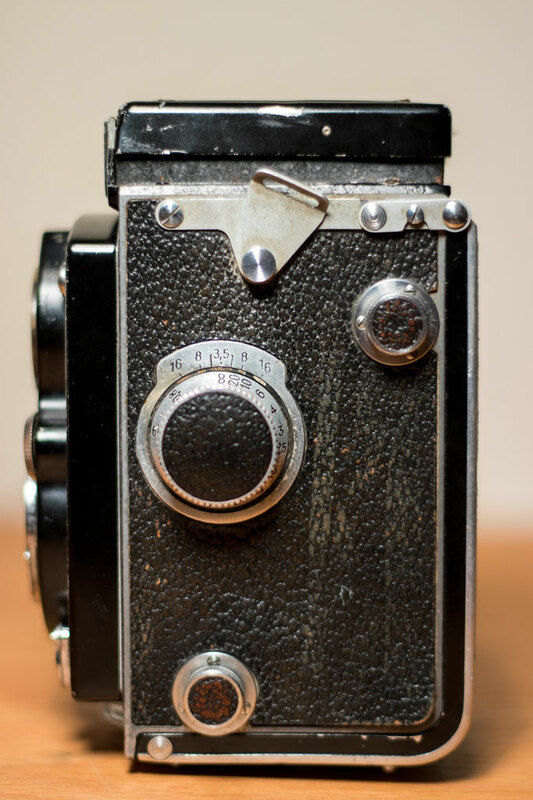 The one I settled on was a Rolleiflex Automat f3.5 (also known as Model RF 111A) 6x6 produced sometime between August 1937 - March 1939. 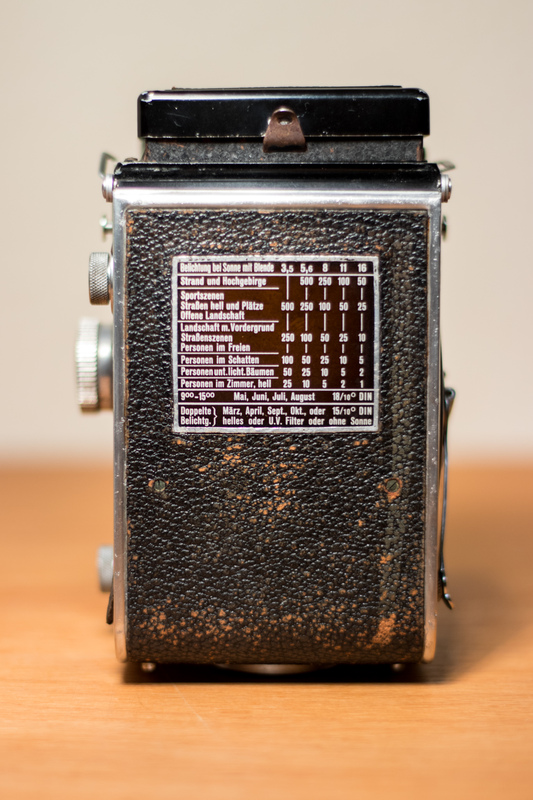 It features a 7.5cm (75mm is around "normal" for a 6x6 frame) Carl Zeiss Jena, Tessar lens with a maximum aperture of f3.5. According to the seller, it was serviced sometime in the 80s, and had not seen much use since then. The focusing lope was missing, and the housing shows signs of use (to be expected after 80 ish years), but otherwise everything seemed to work great. I was very excited to try it out.